The Personal Journal tool in the Trainer Program is a great way to keep notes and information from session to session on your clients. You can track any pertinent information from problems to injuries to personal information, and progress. 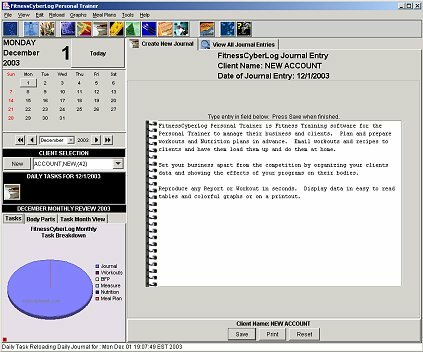 This can aide the personal trainer to adjust and modify future workouts and help keep your client information up to date and their training sessions on track.